The Wallace International journey started with two business partners that decided to leave their jobs in multinational companies when they saw a need in the market for a more personalised service where customers were treated based on their unique needs. These two partners started Boyce Wallace in 1981 in a small office on Eagle St in Brisbane city. In 1995 Bob Wallace took total ownership of the company. This is how Wallace International came to reality. From that day onwards, business kept growing steadily giving the opportunity of expanding to main cities in Australia. Through the years and numerous successful mergers with other small companies, Wallace International has developed a strong reputation and a very knowledgeable team. Our capable team has managed to build a loyal customer base, dated back to inception, that continues to grow throughout the years with strong mutual partnerships. Expansion to Sydney. Lease of the first Sydney warehouse (2 months later expansion on storage space needed). Purchase of an additional truck and two trailers. Wallace International is an Australian company which has been independently owned and run for over 23 years. We tailor all facets of International Freight and Landside Logistics, warehousing and transport, offering every customer the option of having a Complete Solution in ‘One Stop Shop’. We believe in developing strong business relationships built on basic and proven ethical standards and business principles. Our team, from Management to Operations, is one of our biggest strengths. With over 80 dedicated staff, 15 of which are current and active licensed customs brokers with Bio-Security (Quarantine) accreditation, our own truck fleet, transport relationships and 8 warehouses nationally; we can offer the most efficient and best quality of services. Wallace International conducts business structured on a National basis in an ethical manner guided by the principles of the Founding and Managing Director. It has a commitment to integrity of which all employees from storeman, drivers, administration, operations and management abide. Comprehensive compliance training, corporate policies and procedures, and respectful relationships among colleagues ensure a good continued business conduct. Wallace International’s values therefore reflect the principles, commitments and expectations of our Industry, the employees, Government departments and the public. Being trusted with compliance issues, privacy issues, employment issues, client confidentiality etc. play a big role in our commitment and respect to the Industry. Wallace ensures it maintains the highest level of legal, moral and ethical standards with our dealings with clients, suppliers, agents, offices, employees and Government departments alike. If you are searching for a partner to compliment your company with ethical business principals, effective solutions, strong business relations, a network of offices and agents throughout the world, Wallace International can assist you and streamline your trade requirements. GIVE US A CALL, WE'RE READY TO HELP! If you are searching for a company to compliment yours with ethical business principles, effective solutions, strong business relations, a broad network of offices and agents throughout the world and localised service, Wallace International can assist your business and streamline your trade requirements. Sole owner and founding Director of Wallace International. Queensland President, Director Business & Freight Operations and 2 terms as Chairman of the CBFCA (Customs Brokers & Forwarders Council of Australia). Bob commenced in the industry in 1969 and obtained his Customs Brokers License in 1974 after working overseas for three years and passing his license examination in London in 1972. He holds a current Customs Brokers License and an Advanced Diploma of Australian and International Trade Facilitation. 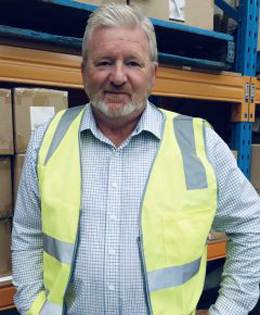 Through Bob’s experience and active participation in the industry over many years, he has held positions on industry boards and has represented the industry in many Australian Government initiatives including the implementation of Electronic Systems with Australian Customs and Bio-Security (Quarantine) Services. Bob has been dedicated to the continued professionalism of our industry and has a firm commitment to both industry and the statutory government bodies to produce systems that are vital to the movement of cargo across our borders both imports and exports. 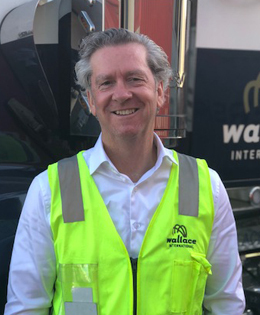 As recognition for his efforts Wallace International holds national awards for its service to the industry, most notably in dealing with the major Australian Border Statutory Government Departments. Established South Coast Customs & Forwarding Pty.Ltd / Gateway Customs Brokers owned & operated for 20 years. Then successfully merging with Wallace International in November 2006. More than 39 years’ experience in the industry. Brendan started in the industry in 1979 is a licensed Customs Broker with Bio Security (Quarantine) accreditation. 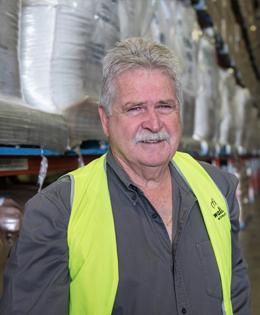 His dedication with companies like Bulk Handling and General Services (BHGS) and Australian Forwarding Agency (AFA) gave him the expertise and confidence to start Gateway Customs Brokers. 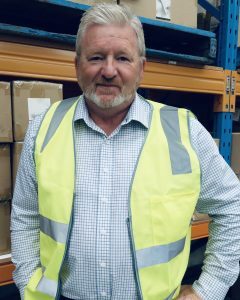 Having owned his own business, Brendan has always felt highly motivated in helping other businesses streamline their logistics’ supply chain management by sharing his expertise and offering unique solutions for their business processes. 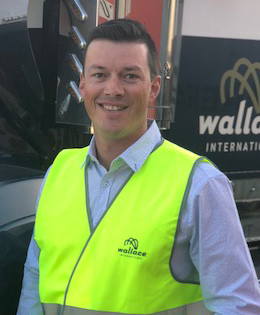 He also represents Wallace International in the Port of Brisbane Landside Logistics Forum regularly as an advocate for importers and exporters. Brendan’s 39 years of experience has brought a broad knowledge on a variety of imports and exports, including yachts, prestige motor vehicles, tours and projects. Over 37 years of experience in the industry. Joined Wallace International in 1981. Overseen over 100,000 imports in his career. Tony is a Licensed Customs Broker with Bio-security (Quarantine) accreditation and has a broad understanding of cargo handling and clearance procedures along with a complete knowledge of the client base and their specific needs. He has been responsible for supervising some of Wallace International’s largest and most complex import and export consignments. Tony manages all subjects related to our biggest customers/accounts. More than 42 years’ experience in the industry. Experienced in all facets of the Importing/ Exporting of goods including Customs Clearance Air and Sea Freight. Ran his own business for over 15 years before joining the Wallace International team. Peter also managed and operated 3 Forwarding Businesses different to his own. Ran NVOCC operation for two Baltic Shipping Lines, Maras Linja and Kursia Linja. FAK containers in and out of Singapore. Extensive experience overlooking the Management of Warehousing and Landside Logistics. 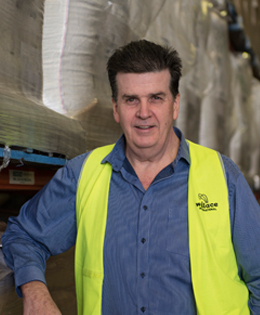 Peter has always been a manager driven by his natural caring approach to customers. 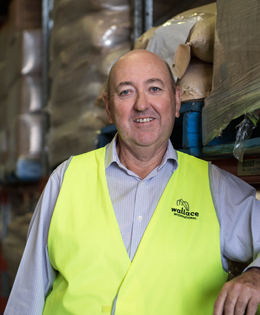 His promptness and accuracy in his communication has always been a key ingredient to his success building relationships with internal stakeholders and Wallace’s customers. More than 35 years’ experience in the industry. Experience in management positions across the Northern Territory and Western Australia. Specialises in projects of oversize cargo for the oil and gas mining sector. Member of the World Freight Group. The management of special projects and oversize cargo includes handling all facets of international freight, transport (local & long haul), Customs and Bio-security (Quarantine) clearance and the storage and distribution. While, currently based in Perth, Phil’s experience, expertise and contacts allow him to service operations and projects into anywhere in Western Australia and Northern Territory. More than 38 years’ experience in the industry. Member of WISTA (Women’s International Shipping & Trading Association). Upon joining Wallace in 2000, Suzy broadened her role to include; all accounting, legal, IT, human resources, transport and facilities management. Suzy supervises a highly specialized imported foods department for a number of diverse clients. Her passion for customer service sets a standard for our entire NSW operation. 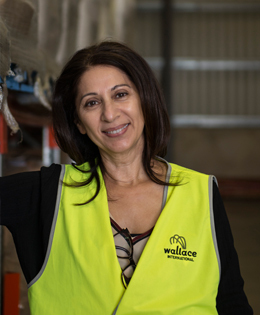 Suzy is an integral member of the senior management of Wallace International and her vision for the company extends not just to NSW but nationally. Expert in the Logistics of the media and sports arenas. Expert in Illegal Logging legislation for the timber industry. Specialises on chemical and Food shipments. Member of the World Freight Group and sits on the NSW Advisory Committee for the Customs Brokers and Forwarders Council of Australia. 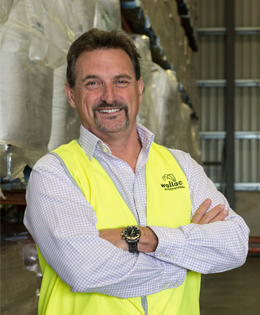 Mark is a licensed Customs Broker with Bio-Security (Quarantine) accreditation and has been with Wallace International for over 12 years. After completing the Dale Carnegie course of management he went on to coach and mentor students in the following years as a way of giving back to the industry. Having worked for small firms and global corporations, Mark understands the need for personalized customer service with a holistic approach to freight and customs clearance services. He maintains active in day to day operational duties while also promoting Wallace International on the world stage with our membership in the World Freight Group. Mark’s extensive knowledge of Customs Law and Regulations offers our customers professional advice to their total requirements in International Trade Logistics. More than 20 years’ experience in the industry. Started his own business at 23 years of age, merging with Wallace International in 2012. Expert on imports & exports services for TCF, Medical, Motorsport industry organisations and Live Events like Exhibitions, Tradeshows, Festivals and Concerts. Project Manager for the likes of Boeing, BMW, Cirque Du Soleil, Toyota and a range of Australian and overseas companies. Josh is responsible for the National and International projects’ division at Wallace International. His role involves group strategic development via right fit acquisitions and merger activity, as well as managing clients’ international air and sea freight, customs, quarantine and trucking moves from anywhere in the world and back! Josh has gained loyal following in the time critical areas of festivals, arts, theatres, shows, events, motor and sporting industries for his personal and tailored approach to logistics. He applies the same ethos to large and complicated cargo such as a helicopter, motor yacht or fragile medical equipment. With decades of experience, Josh understands that as a part of your team he needs to add value, be on call whenever needed and of course ultimately deliver any project on time and in perfect state.